Bossaball is a growing sport cropping up all over South America and Europe, originally invented in Spain. 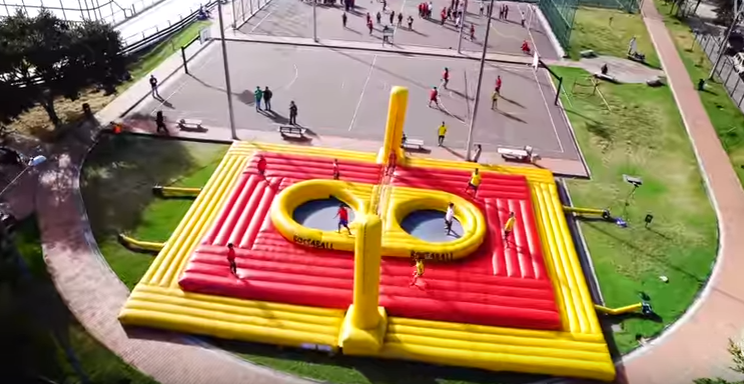 The court is essentially a massive inflatable area similar to a bounce house which fields two teams of 4 to 5 players. Samba music plays throughout the game, which features an attacker on a trampoline on each side who is allowed to do all types of bicycle kicks and spikes to score points. Props to Columbia because they are pouring government funding into Bossaball which is incredible and hopefully helps grow the sport.